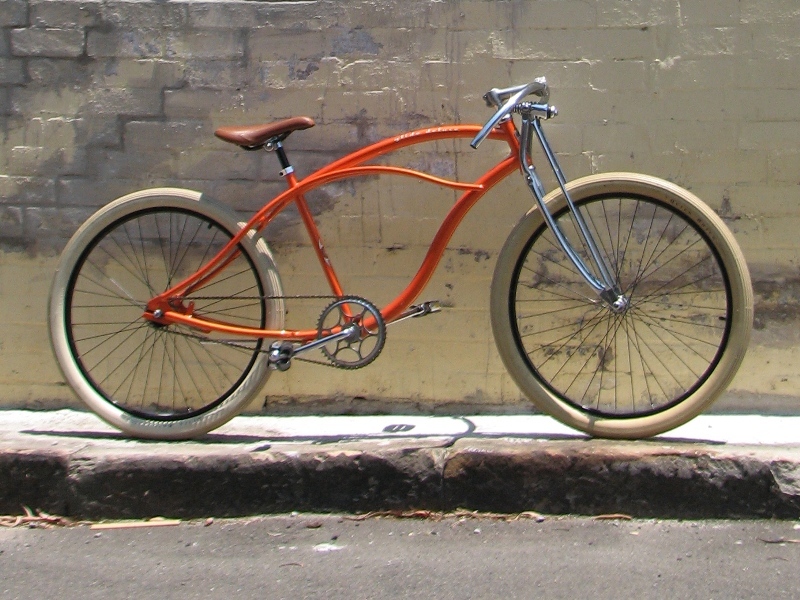 As well as playing with cars, I also don’t mind playing with the odd custom pushbike. 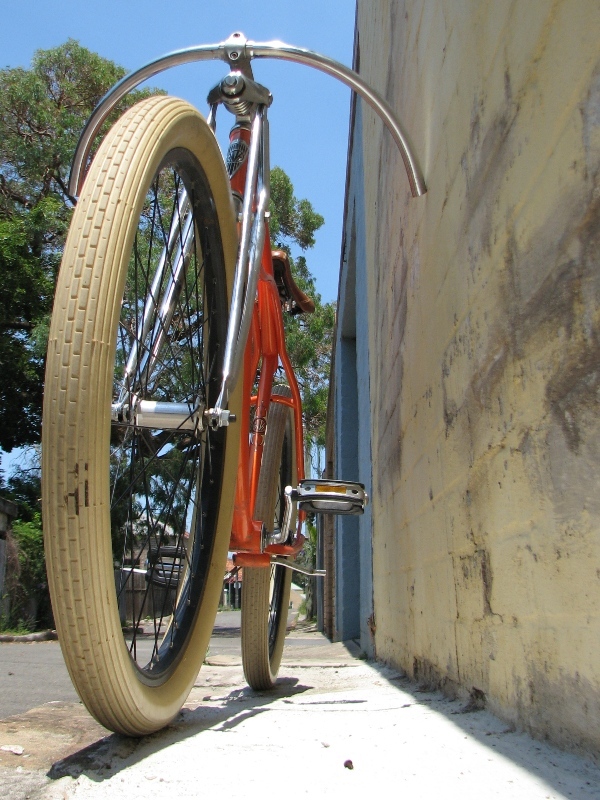 No, not those lowrider bikes that are that small you can’t ride them, I’m talking full size 26″ wheeled cruisers. The latest creation to roll out of the shed (actually the living room truth be known!) is this board track motorbike inspired piece. 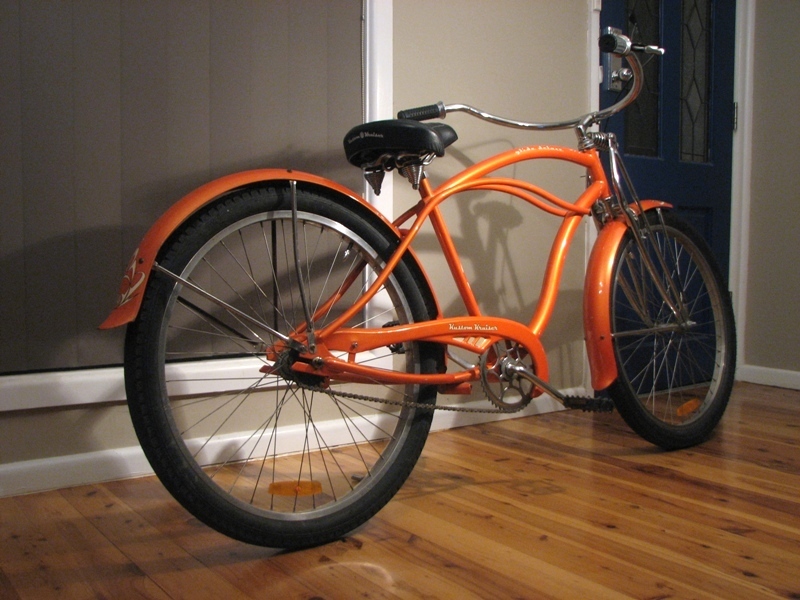 The starting point was a Kustom Kruiser branded bike purchased on ebay. 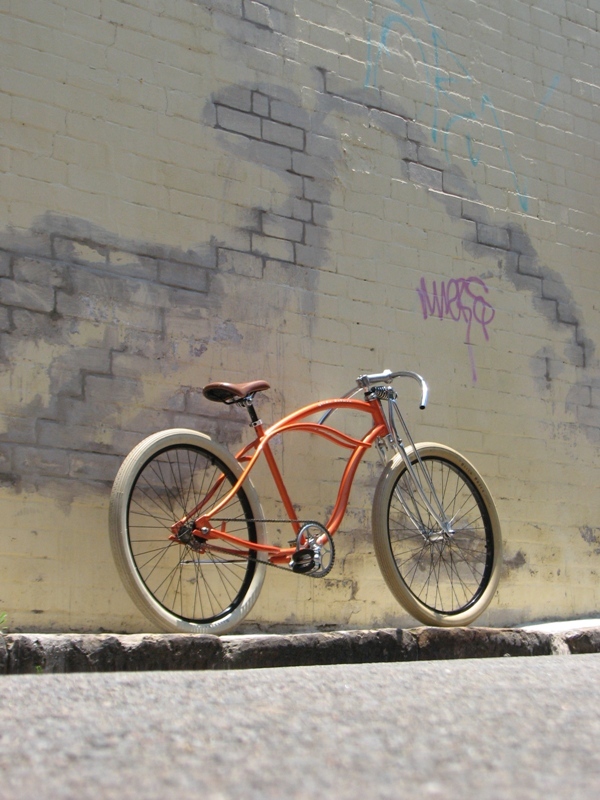 The concept was simple – strip off any superfluous parts and make it look fast as hell. 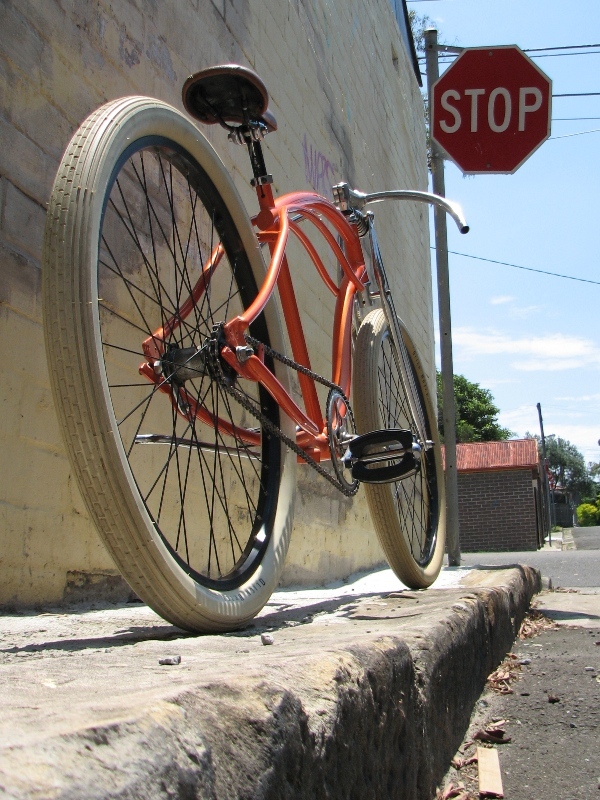 Even the front brakes have been ditched – who wants to slow down? 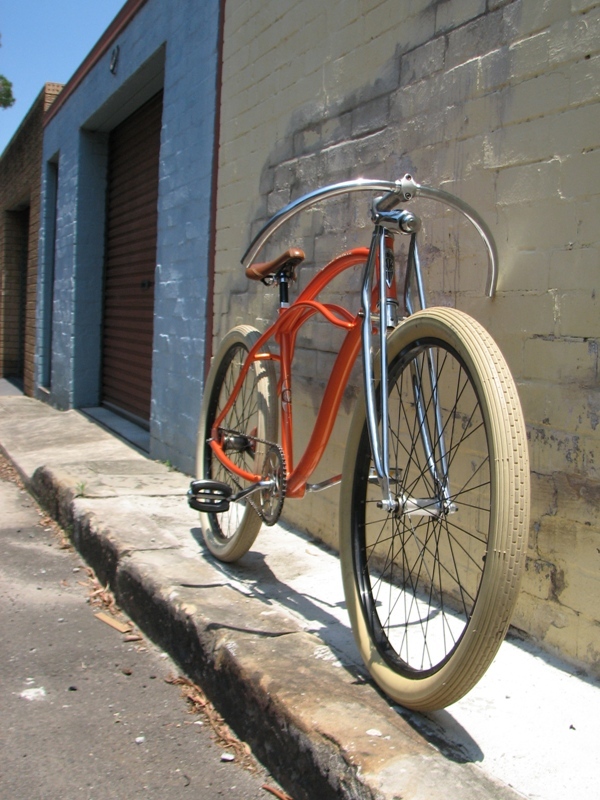 The standard handlebars have been trimmed and turned down for that classic board track motorbike look, while the Quick Brick tyres are the perfect finishing touch for that art deco era aesthetic. And yes, it will be ridden! ah cool. i like it. Hey, thats a really nice frame! 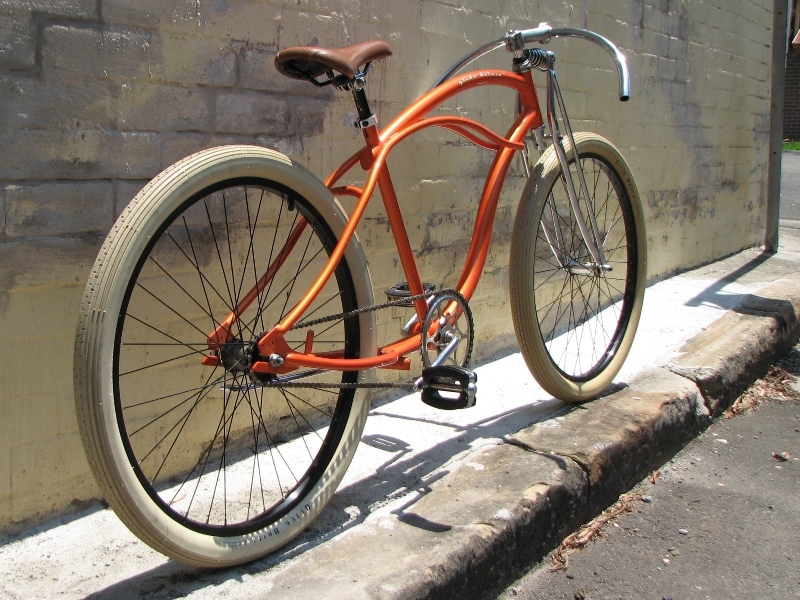 Great basis for your project bike. 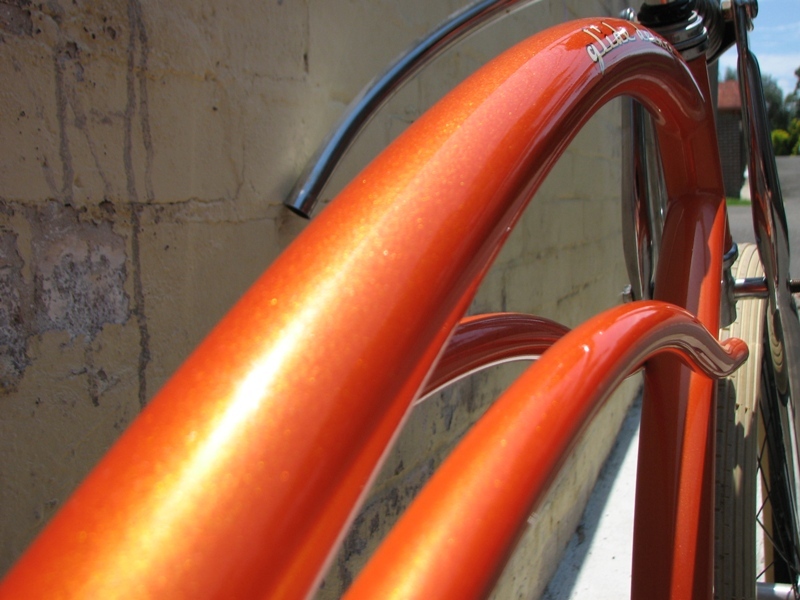 And almost looks like Triumph Blazing Orange paintwork! I dig the Findon skid kid c. 75 thing myself. I like what you got going on here. 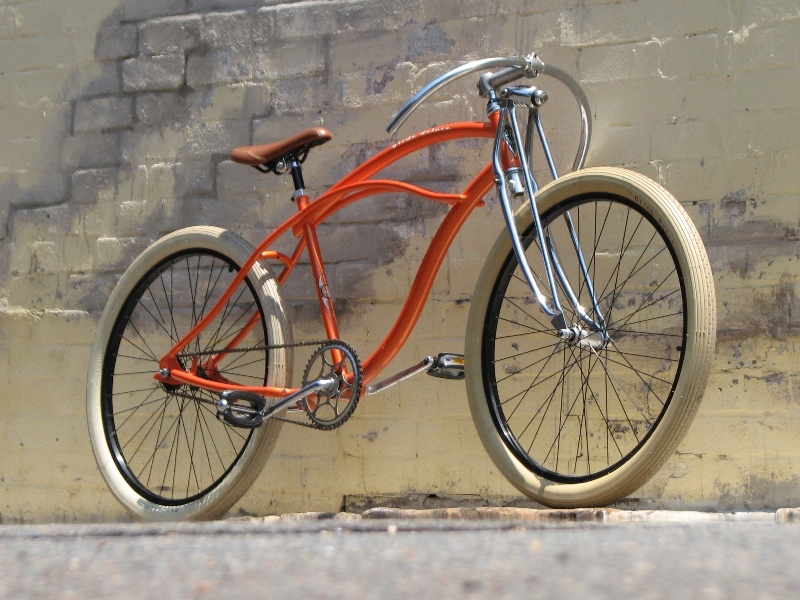 I am in love with this cruiser – divine job.